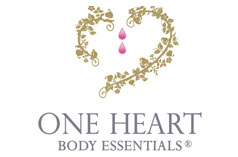 To meet the growing demand for proven purity in plant sources – free from chemicals or synthetic sprays or fertilizers – One Heart ensures all of its organic oils are Organically Certified. Meeting the most stringent of tests by the United States and European government bodies, the products can safely be judged purely organic, as nature intended. This extra degree of purity has secured a loyal following of One Heart customers from around the world. This is the personal favourite of One Heart’s creator, Carol Asher. The reason for this is that these particular plant species have grown in the same place and have adapted to their environment and natural habitat over hundreds and sometimes thousands of years. They are strong and vital and contain their original blueprint – their original DNA – and retain ALL their original healing powers. Wherever possible, One Heart makes sure its Wild Crafted essential oils are ethically wild crafted – meaning that the plants are not over-harvested and that re-planting is done annually to replace the harvest.